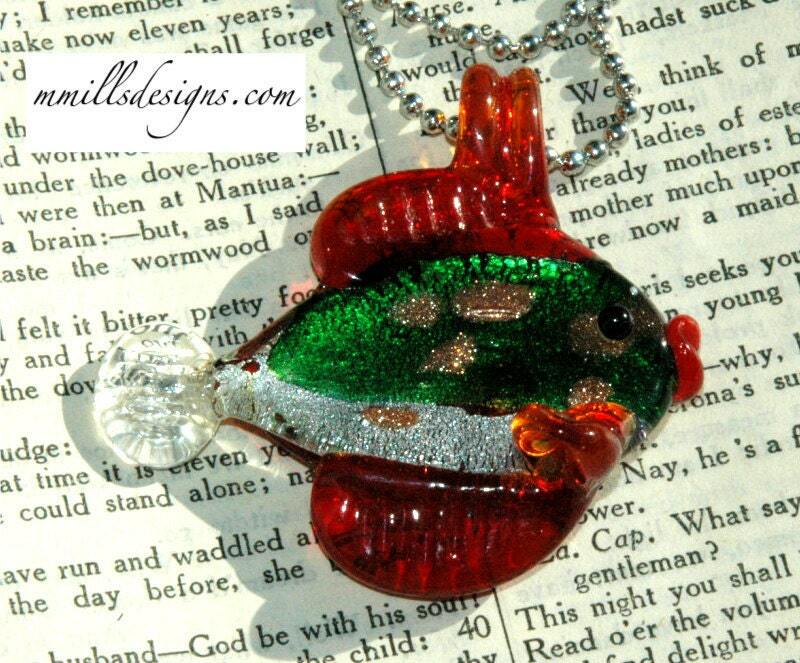 This adorable glass fish is colored with green, red, silver, orange, dots of copper and a red back. 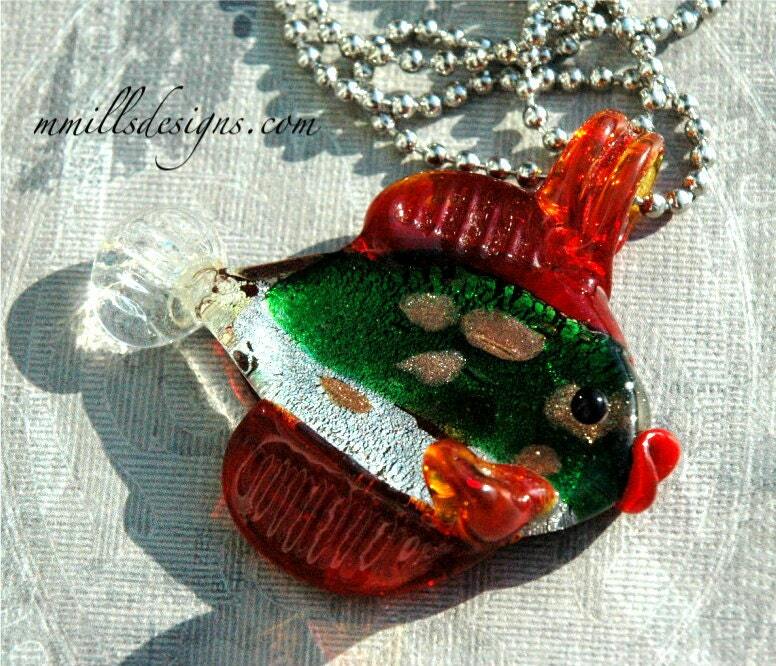 The fish is paired up with a silver ball chain to make a cute necklace. 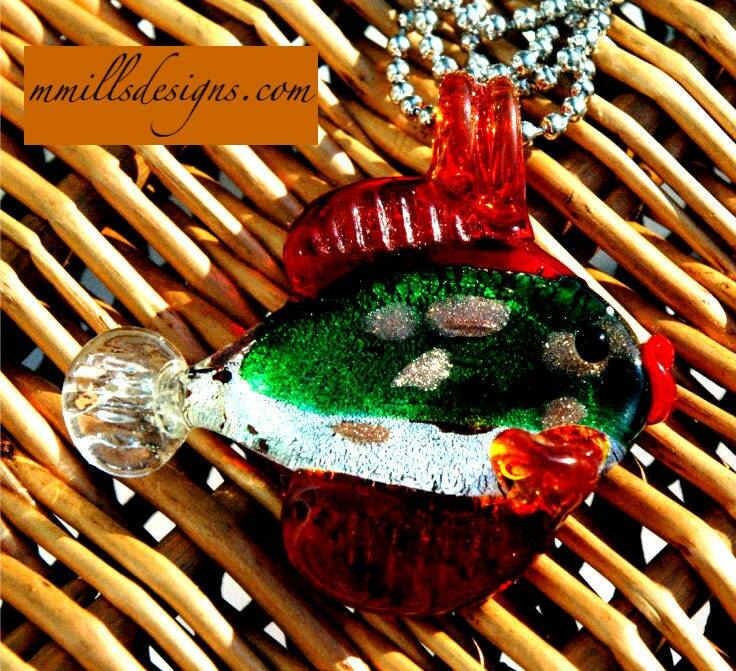 Ball Chain necklace measures 24". 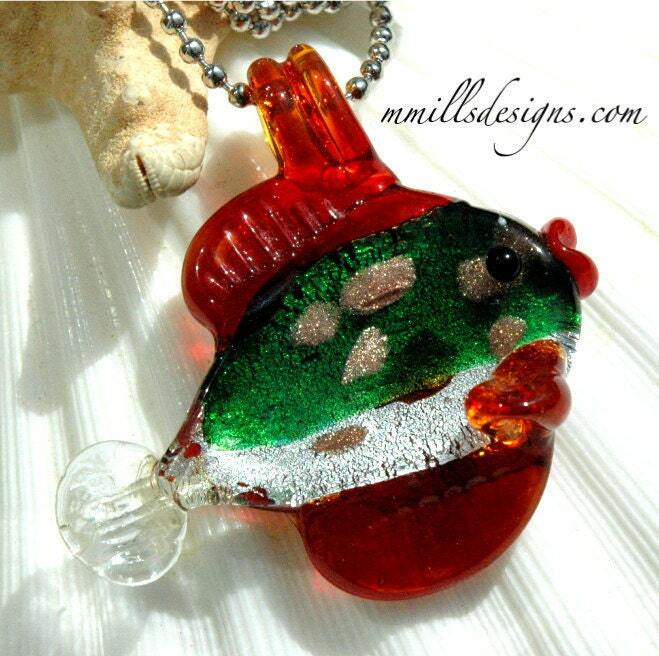 Glass heart measures 2" long by 2" at its widest point. 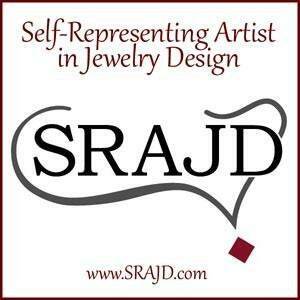 If you would like the necklace shorter please convo or email me with the length you prefer.